UNLIMITED!!!! 4X4!!!! LOW MILES!!!! ONLY 32K!!!!! 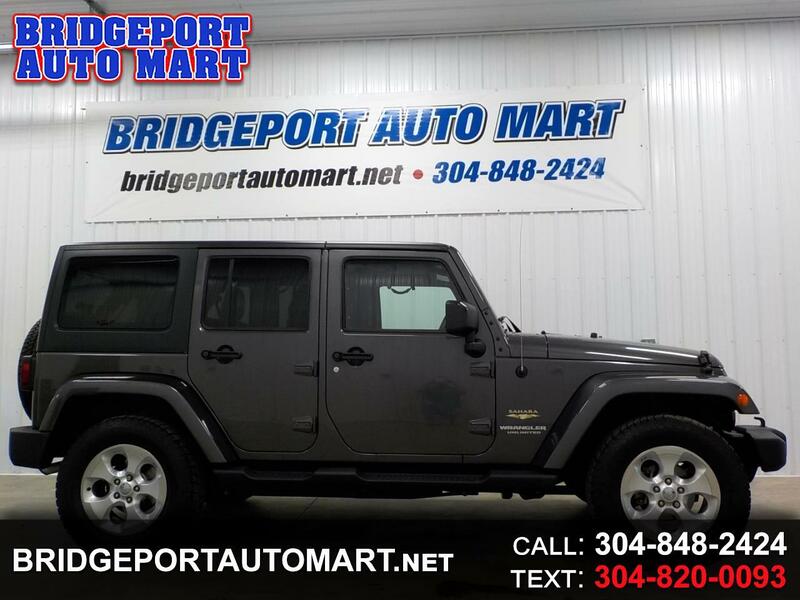 THIS 2014 JEEP WRANGLER UNLIMITED IS SUPER CLEAN INISIDE AND OUT!!!!! IT LOOKS AND RUNS GREAT!!!! IT HAS A ROOMY 5 PASSENGER INTERIOR,,,, ALONG WITH A NICE CARGO AREA,,,,, PLUS IT COMES NICELY EQUIPPED,,,,, SAHARA TRIM!!!! ALL POWER OPTIONS,,,,,, REMOTE START,,,,, REMOVEABLE HARD TOP AND SOFT TOP,,,,,, YES WE HAVE BOTH TOPS!!!! EXCELLENT TIRES,,,,, RUNNING BOARDS,,,,, AND SO MUCH MORE,,,,, THIS JEEP RIDES, DRIVES, AND HANDLES GREAT,,,,, STOP IN TODAY AND TAKE IT FOR A TEST DRIVE,,,,, FINANCING AND EXTENDED WARRANTY AVAILABLE!!! !